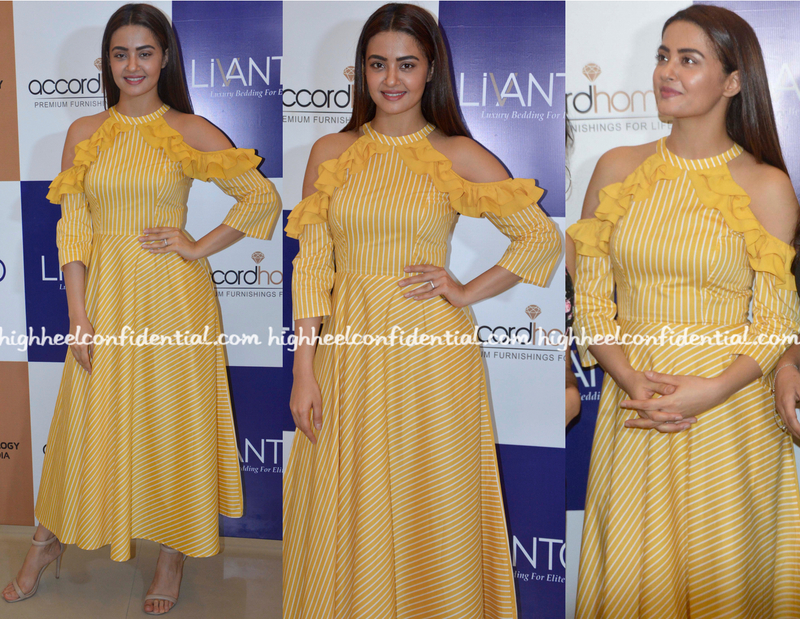 While in Delhi for a event, Surveen was photographed in a cheery yellow Manika Nanda dress. Slick hair and a pair of neutral sandals rounded out her look. She wears the dress well (though I have to add, the ruffle-detail did seem like bit of an afterthought). At the awards event held last evening in Mumbai, Rhea was photographed in Manika Nanda. Statement earrings and pair of Zara sandals rounded out her look. She wore her jumpsuit well. 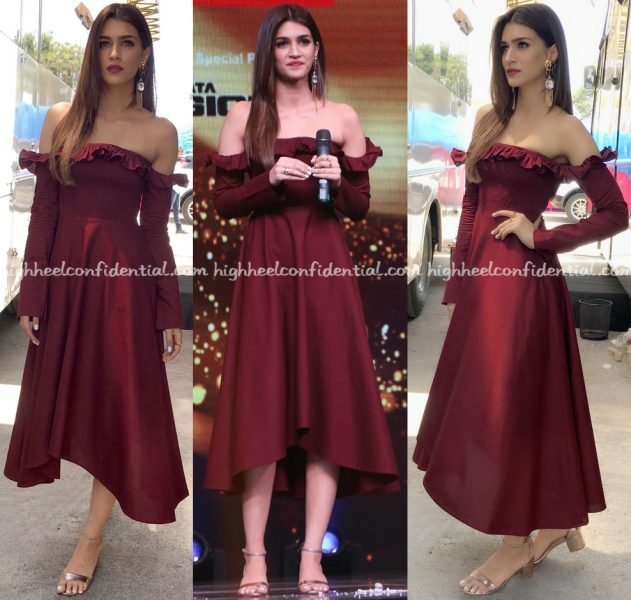 While on the sets of a television show to promote her upcoming movie, Kriti was photographed in a Manika Nanda dress. Her accessories of choice included Gioielli jewelry and pair of H&M sandals. She wears her look well. It was a Manika Nanda dress for Nimrat while at a recent launch. Adding a Papa Don’t Preach corset-belt to it, she rounded out the look with Swarovski X Lanvin earrings and a pair of Caroline Herrera ankle-strap sandals. Ms. Kaur made it all work for her! 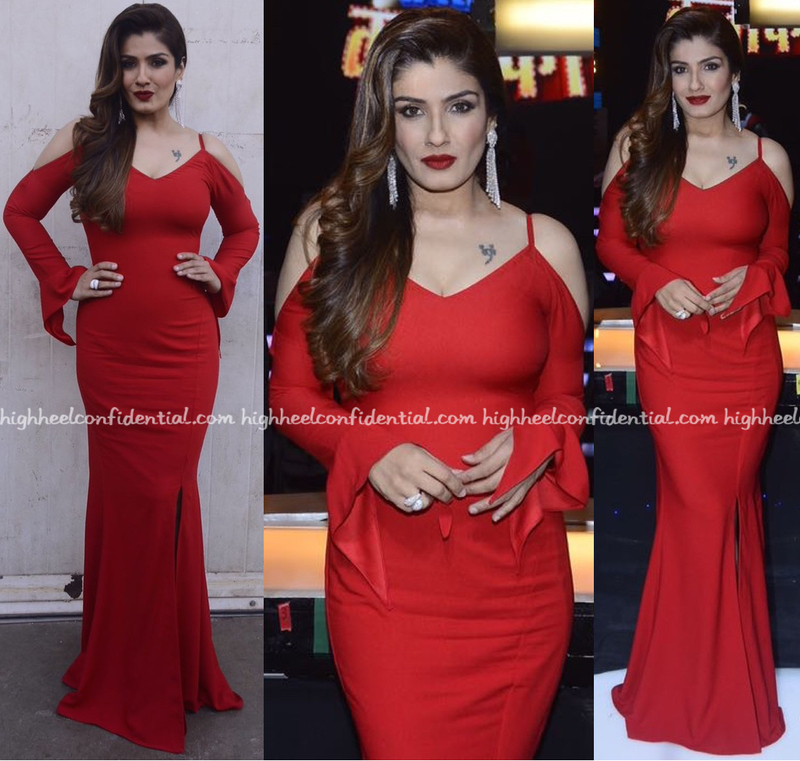 While filming on the sets of a television show, Raveena was photographed in a Manika Nanda dress. 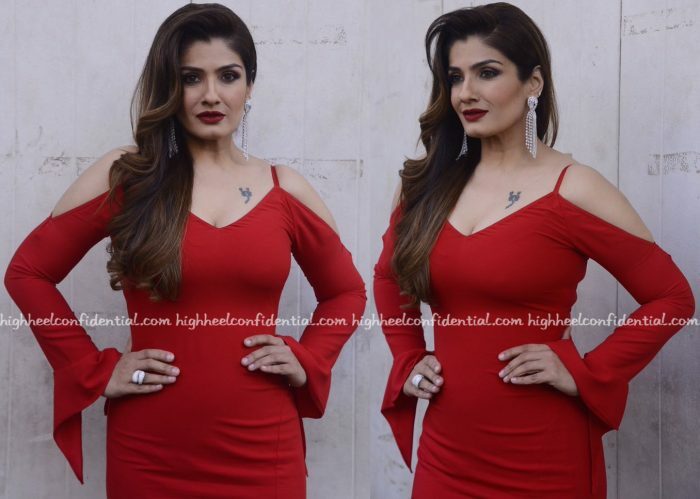 Wearing her hair to the side, she finished out the look with a strong red lip, earrings from Farah Khan Fine Jewellery and a cocktail ring from Anmol. The look felt rather dated and the gown was mostly to blame; can’t say we were fans.